LOCKLINEA remake of Joris Ivens poetic film Rain, from 1929, made with still images. Who will remember the names of film pioneers like Sergei Eisenstein, Dziga Vertov or Joris Ivens? 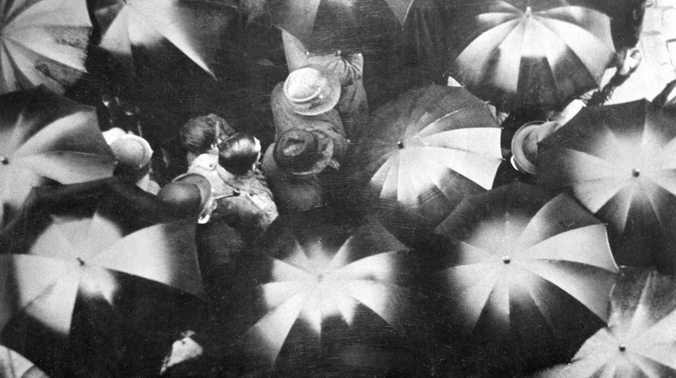 Who can remember, for instance, that Ivens made in 1919 a beautiful cinepoem called Rain, a portrait of Amsterdam in the rain. 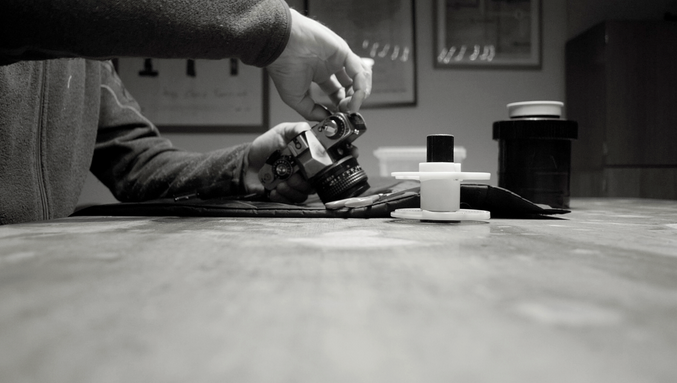 Ivens’ short film captures an image of the past, it’s also full of cinematic ingenuity. 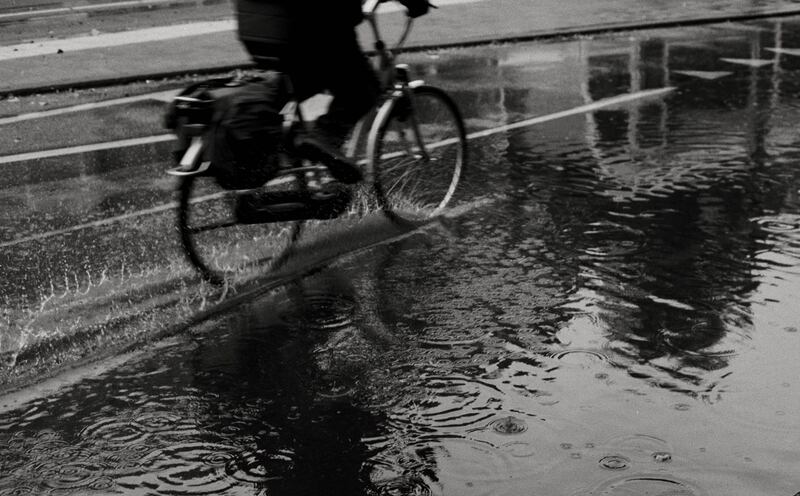 Rain is considered one of the sixteen most important Dutch films ever made. Ever since I saw the film for the first time, thirty years ago as a film student, I wanted to do a remake. As a homage and as a way of keeping film history alive by using it as material to work with. When the Amsterdam Fund for the Arts asked filmmakers from Amsterdam to send in a proposal, I grabbed my chance. 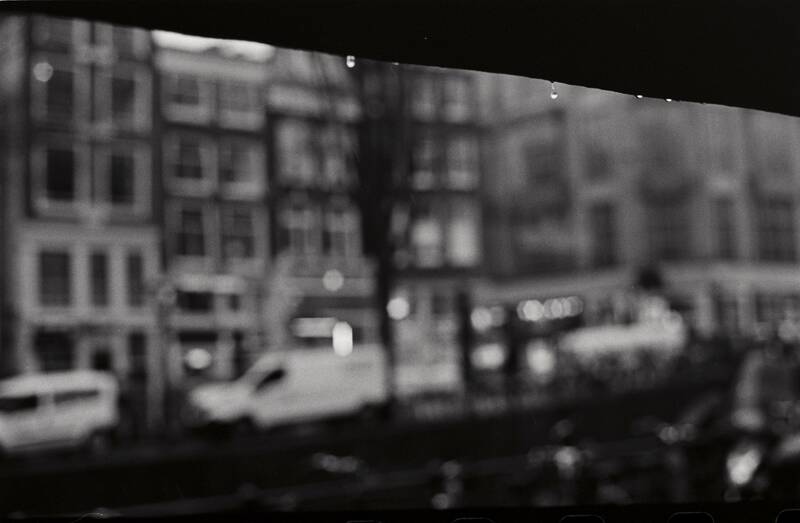 Rain is now one of the two projects selected for MADE IN AMSTERDAM - Experimental. The jury was impressed by the artistic quality and considered the analogue approach attractive. One condition however is that part of the financing must be raised through crowd funding. Hence this crowd funding campaign. And my request to support it. My version of Rain is a dialogue with the cinematic past. It is also a rediscovery of the city and its beauty, which often goes unnoticed due to being overcrowded and other influences of tourism. When it rains, I now discover, the city is at its most beautiful. I make the film with photographs, still images. In black and white like Ivens’ images. I freeze time and bring it back to life in the editing. It is all about looking – seeing – which is why I choose for this unusual approach. Rain is an everyday occurrence we usually don’t pay any attention to. But rain is also very beautiful and atmospheric. And this is what I want to show. The black and white photographs I make and develop myself, on 35mm film. Manual labour, but it allows me to stay in control and achieve the visual style I want fort his film. 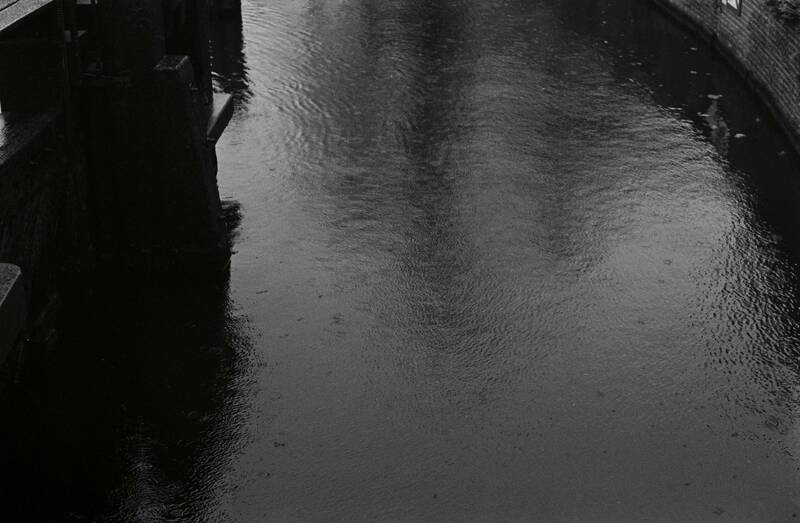 In practice for my film I will, over a period of several months, take my camera and go wandering the city whenever it rains, just as Ivens did with his movie camera, looking for images that capture the rain. Not only in the city center, but also in the outskirts, built after Ivens made his film. WHAT WILL HAPPEN WHEN THE FILM IS FINISHED? When finished RAIN will not stay unseen. The film festivals that screened my previous film SOL LEWITT – especially the festivals on art, and where the film won a price – are likely to screen RAIN as well. There will be local – outdoor – screenings, when possible together with Ivens’ original film. 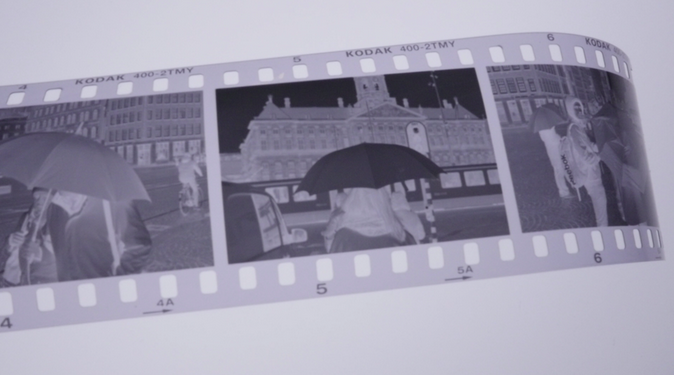 The municipal archive of Amsterdam will screen the film next year. It will be available online. YOU CAN HELP ME TO REALIZE THIS PROJECT. Never before rain was so beautiful. I don’t make this film with a crew, but by myself. Armed with a stills camera and many rolls of film I go into the city. The films I will develop and digitize myself. In the editing the images come together to tell a visual story. As a filmmaker photography is not new to me. As a sixteen year old I picked up the camera that belonged to my father and started taking pictures. Soon I discovered that capturing the world around me in images was really my thing. Then I discovered film, the cinema. After art school I attended the Dutch Film Academy (in Amsterdam). Photography disappeared to the background, but since a few years it is fully back again. For me it is a way to keep making images on film. In his review of my film SOL LEWITT in the New York Times film critic A. O. Scott wrote: It is odd that people devoted to the remaking of forms and the renewal of imagination are usually subjected to the most conventional and literal-minded cinematic treatment. Mr. Teerink defies the formula, declining to speculate on the psychological or personal sources of LeWitt’s art and focusing instead on the philosophy behind it. Original and non-literal forms of filmmaking have always been my point of departure. With RAIN this is no different. It is my first crowd funded project. I don’t think crowd funding is suited for every film, but in this case everything falls in its place because its modest scale. SOL LEWITT, feature length documentary about conceptual artist Sol LeWitt. IN THE SHADOW OF THE LIGHT, feature length documentary about avant-garde filmmaker and founder of Anthology Film Archives in New York, Jonas Mekas, co-directed with Sarah Payton. MOJAVE, 50 min. documentary about people living in the Mojave desert. At the moment I am working on a feature length documentary film about T. S. Eliot’s poem The Waste Land. Making something that previously did not exist is my main motive. Calling upon cinema minded people like you to make this possible is a new and interesting challenge. ik kijk uit naar jouw Regen! Succes met dit mooie project in een mooie stad! Geweldig idee Chris, ik kijk er naar uit! Dankzij jullie is mijn crowdfunding voor REGEN geslaagd. De teller eindigde op 93%, ruim boven het minimum van 80% en ruim boven de 5000 die het AFK als voorwaarde stelde. Veel dank daarvoor. Ik kan een mooie korte film gaan maken. Thanks to you the crowd funding for RAIN ended successfully. With 93% it was well over the needed 80% and the 5000 euro the Amsterdam Fund for the Arts demanded. I am enormously thankful. I am now able to make a beautiful short film. Everyone who makes a donation of 10 euro or more will receive updates about screenings. Everyone who makes a donation of 25 euro or more will receive a link to the film online and updates about screenings. Everyone who makes a donation of 50 euro or more will receive a digital copy of a photograph used in the film, updates about screenings, and a link to the film online. My gratitude for every donation of 100 or more will be expressed with a 30 x 34 cm print of a photograph used in the film. Every print is original and unique. We also would like to invite you for a special screening or preview. Institutions, companies or individuals donating 500 euro or more will receive, in addition to a print, a mention in the credits. We also would like to invite you for a special screening or preview. Many thanks. You will receive a book with the most beautiful photographs from the film. And of course a print and a mention in the credits. We also would like to invite you for a special screening or preview. Many, many thanks. You will receive 5 copies of a book with the most beautiful photographs from the film. And of course a print and a mention in the credits. We also would like to invite you for a special screening or preview. This deserves a very special THANK YOU. For this donator I wll make a personalized one minute photofilm, around a theme in consultation. Unique and exclusive.